Tactical toughness plus flame resistance. 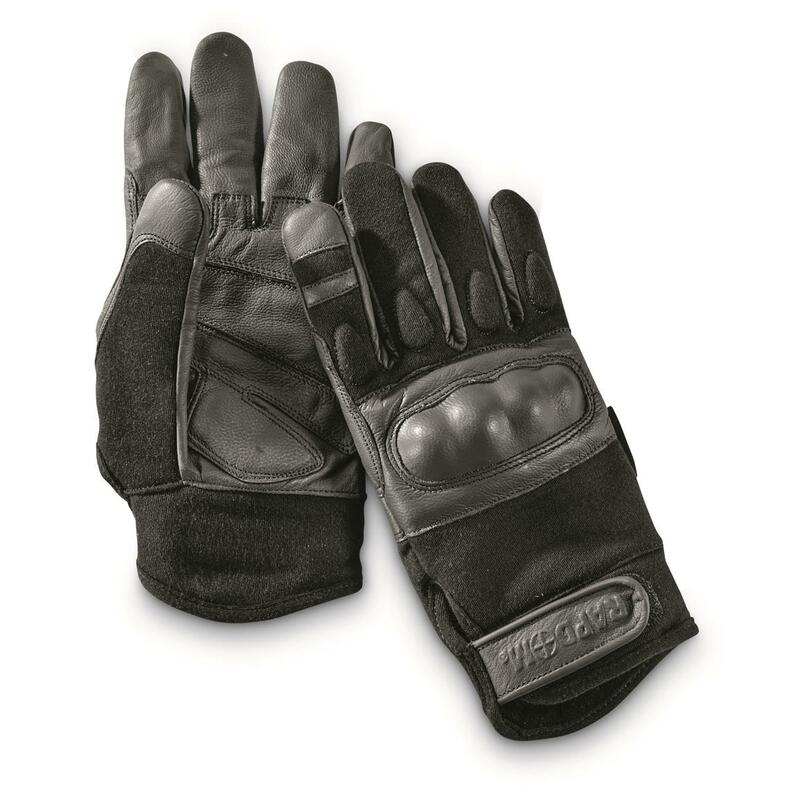 Law enforcement-style Gloves with hard-reinforced knuckle guards, plus Nomex for flash/flame resistance. Ultra-tough, but with flexibility and feel. 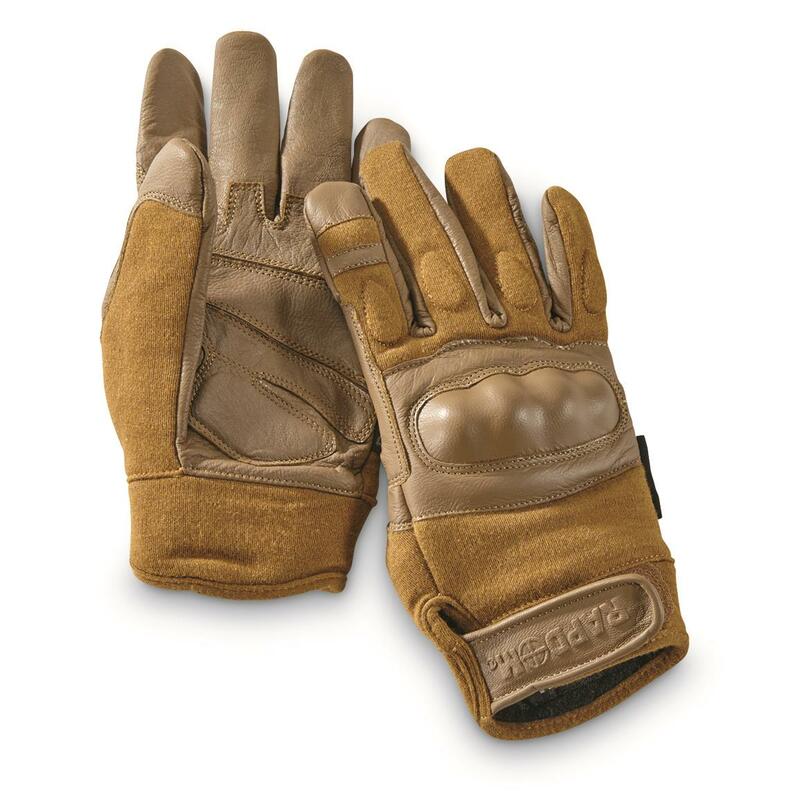 Nomex has excellent thermal, chemical, and radiation resistance for a polymer material, giving you precious time to get to safety in the event of a fire. Great for rescue, shooting, and general rugged-conditions protection.